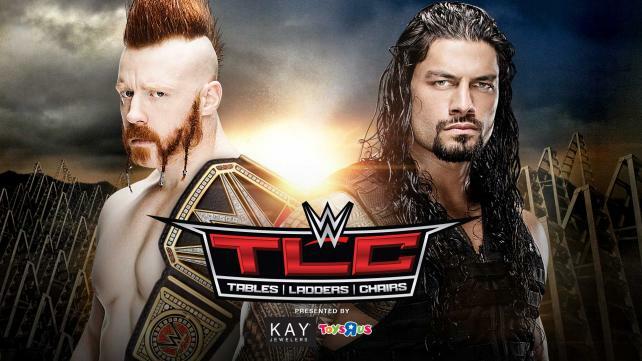 Turnbuckle Radio hosts Trevor Robb and Brian Swane breakdown the card for the upcoming WWE TLC: Tables, Ladders, and Chairs PPV. It’s been a quick, three-week turnaround since last month’s WWE Survivor Series event, and it’s the first official title defence for WWE World Champion Sheamus. Will it be his first and last? Brian and Trevor discuss their thoughts in this week’s episode of TBR! Tags: 780 Sports, Antonio Cesaro, Big E Langston, Dean Ambrose, Dolph Ziggler, Edmonton, John Cena, Professional wrestling, randy orton, Turnbuckle Radio, WWE, WWE Raw, WWE SmackDown. Bookmark the permalink.